The American Centennial Insurance Company does not sell health insurance. It was founded in 1970 to underwrite liability insurance for large companies, especially those in the chemical, manufacturing, and pharmaceutical industries. In 1987, American Centennial Insurance Company became a subsidiary of First Delaware Holdings, Inc., and was acquired by White Mountains Insurance Group, Inc. in 1999. You may not be able to find health insurance through American Centennial Insurance Company, but we can still help you! Type your zip code into the toolbox and we will deliver health insurance quotes from other insurance providers. 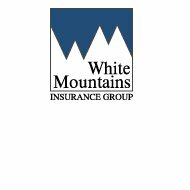 At the end of 2003, White Mountains Insurance transferred American Centennial Insurance Company’s shares to International American Group, a wholly owned subsidiary of White Mountains Insurance. White Mountains is perhaps best known as the parent company of personal auto insurance provider Esurance, which it agreed to sell to Allstate in May 2011. It is hard to tell if American Centennial Insurance Company even exists anymore — the last news we could track was that it was being “runoff,” which basically means it was not taking on enough new business to make up for the old business it was losing. White Mountains Insurance, along with its major subsidiary OneBeacon Insurance, offers many other types of specialty insurance, but not health insurance. White Mountains’ subsidiary White Mountains Re America does have an accident and health “re insurance” business that is marketed to other insurance companies, who then sell it to companies and corporations, and is not available to individuals directly. If you are interested in a job at a White Mountains Insurance subsidiary, your best bet is to visit the website of the subsidiary directly, and peruse the available open positions. OneBeacon has offices nationwide, so there just might be one nearby. You can check them out directly on the OneBeacon website. OneBeacon offers its employees a comprehensive healthcare package that includes medical and dental through Blue Cross Blue Shield of Massachusetts, wellness programs, vision coverage, fitness and weight loss programs, and long-term care insurance, as well as a tobacco-free workplace. There is a matching 401K program in place, along with flexible spending accounts, life insurance, and disability insurance. You may view the job openings at White Mountains Re America. If you do not see the job you are looking for, you will also find an online form to fill out to submit your resume, experience, and interest to the company in case the appropriate job opens up. To make a claim with OneBeacon Insurance, you should contact your individual insurance agent or broker directly. If you want to check on the status of your claim, you can call OneBeacon’s Claim representatives at 877-248-3455. OneBeacon also offers this page as a great one-stop shop to find the names and telephone numbers for the contact at each one of their business divisions. Because White Mountains Re America sells its insurance to other insurance companies, who then sell the insurance to companies for their employees, you would not call White Mountains directly about a claim. Instead, contact your plan’s agent or broker at the phone number associated with your plan. While an Internet search of American Centennial Health Insurance reviews will yield no returns, another White Mountains Insurance subsidiary, OneBeacon, does have some complaints from unhappy auto insurance customers, although just a handful out of the many policies they write. There are also mild complaints from employees of the company, who have the typical workplace unhappiness surrounding middle management and a constantly changing strategic business plan. Although you cannot get a health insurance policy through American Centennial Health Insurance, enter your zip code in the box to find out what health insurance companies are located in your area and what health insurance rates they charge.